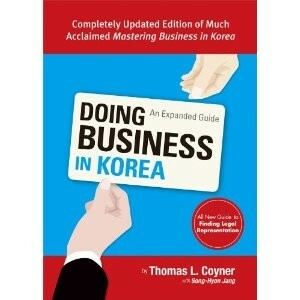 Produktinformationen "Doing Business in Korea"
Doing Business in Korea is a timely handbook of information for succeeding in the challenging environment of Korea, the world’s 13th largest economy. Now with updated content, the book divulges in engaging prose all the ins and outs of contemporary Korean business culture. From business etiquette and protocol to tips for marketing to Korean consumers, international business consultant Thomas L. Coyner details everything you’ll need to know to not just survive, but thrive in the Land of the Morning Calm. Through this book, one will gain pivotal insight into an environment that is traditional yet uncompromisingly modern, challenging yet surprisingly rewarding for the determined business professional. Weiterführende Links zu "Doing Business in Korea"
Unser Kommentar zu "Doing Business in Korea"
Kundenbewertungen für "Doing Business in Korea"